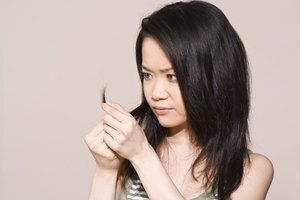 One of the most common problems that people encounter when dying hair brown is unwanted tonal qualities. If the wrong color is selected at the outset, the results could be disastrous. 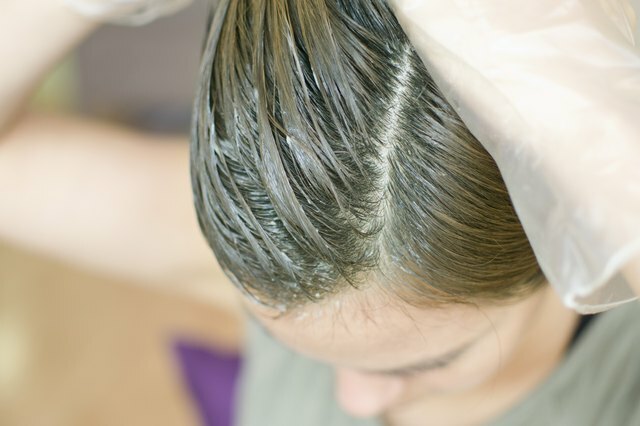 Applying ash or cool colors to blond hair in an effort to dye it brown often results in a greenish cast or undertone to the hair. This is because brown hair possesses near equal parts of all three primary colors: red, yellow and blue. Blond hair has no red pigment whatsoever. If a cool color with a green or blue base is applied, the result is blue, green or blue-green hair. Fortunately, fixing this type of color error is easy to do. 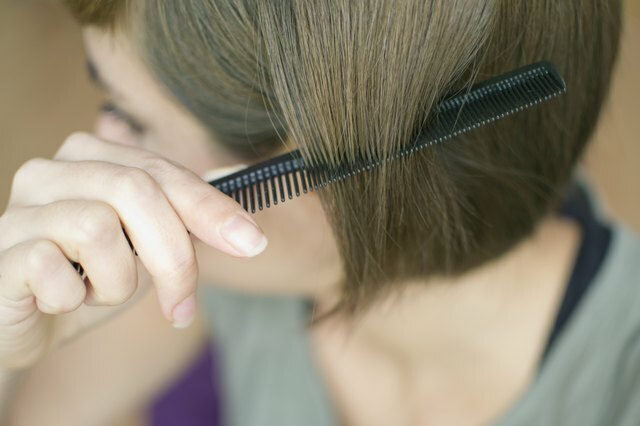 Comb the hair until it is free of tangles. Section the hair into four loose sections by creating two parts, one horizontally and one vertically. The parts should run from ear to ear and from the middle of the forehead to the nape. Clip the sections into place if they do not remain parted on their own. Pour 2 oz. of color into the color bottle. Add 2 oz. of 10 volume developer. 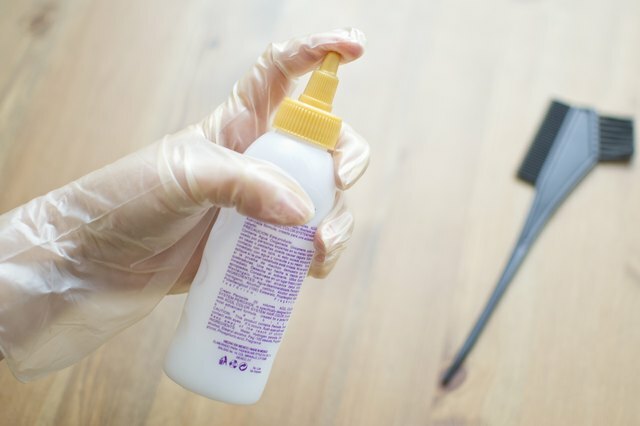 Screw the lid tightly on the bottle, cover the open tip of the lid with your finger and shake vigorously until the color is thoroughly blended. Put on gloves. Apply the color mixture along the parts of the hair and around the hairline by placing the tip against the scalp and lightly squeezing. As the color comes out of the bottle, slowly move the bottle along the line so that a thin line of color forms. Work the color into the hair using your fingers. Apply color one section at a time starting at the top of each section. Create a 1/2-inch thick horizontal parting by parting the top of the first section. 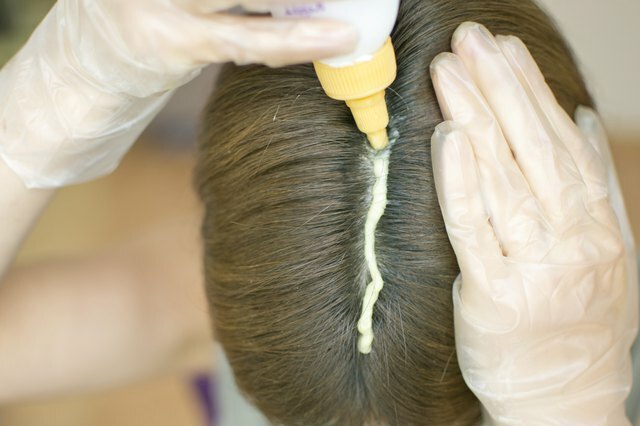 Apply color to the base of the hair against the scalp using the same method outlined above. Draw an s-shaped line of color along the length of the parted hair and work it into the hair until the parted section is thoroughly saturated. Place the parted section up and over the head so that it is out of the way. Continue applying color using 1/2-inch partings until the entire section is saturated with color. Move onto the next section, and continue until all of the hair has been covered with the color. 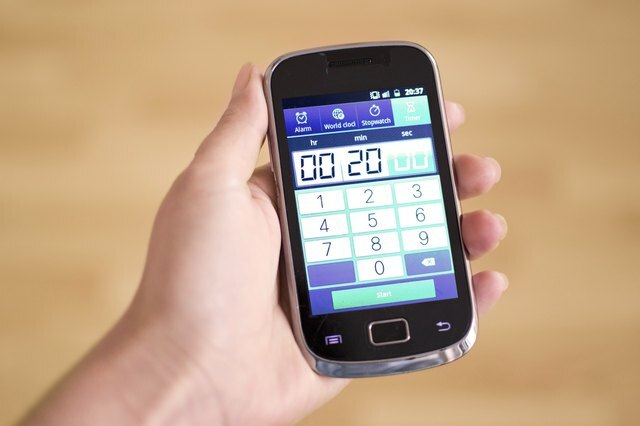 Set a timer for 20 minutes and process the hair at room temperature for the duration. Rinse with warm water until the water runs clear. Shampoo and condition. Color selection is paramount when it comes to correcting greenish hair. 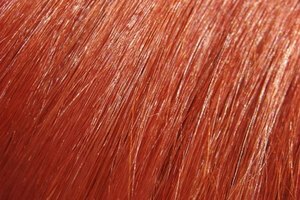 Remember, red is the color that green hair is missing, but choosing an all-red color could result in a reddish color instead of the rich, brown color desired. Instead of choosing a red color, select a brown color that has a warm or reddish base. Perfect examples include auburn, chestnut and burgundy. If more color is needed during the application process, mix additional color according to the same instructions. Four oz. 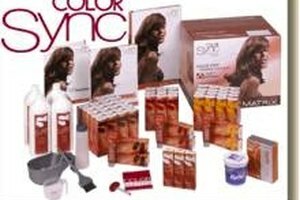 of color should be enough for short and medium hair lengths. Long hair may require 8 oz. or more.